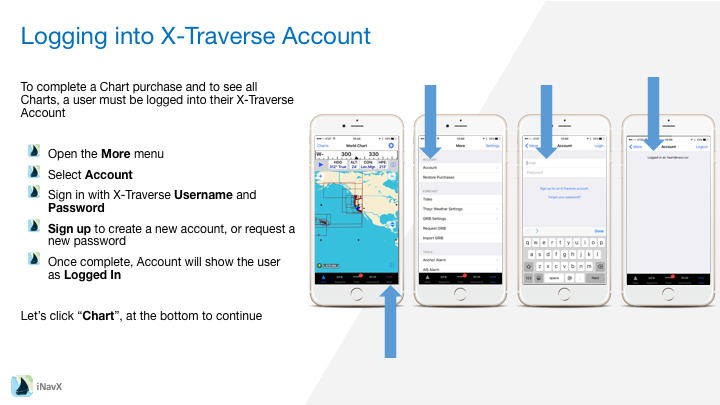 My Charts shows a list of all charts that are available to be used.These include the pre-installed NOAA Charts that are made available for free to all users … And, purchased charts tied to your iNavX / X-Traverse Account. Store shows a list of all Charts that are available for Purchase. To complete a purchase, select the Chart and click Buy. 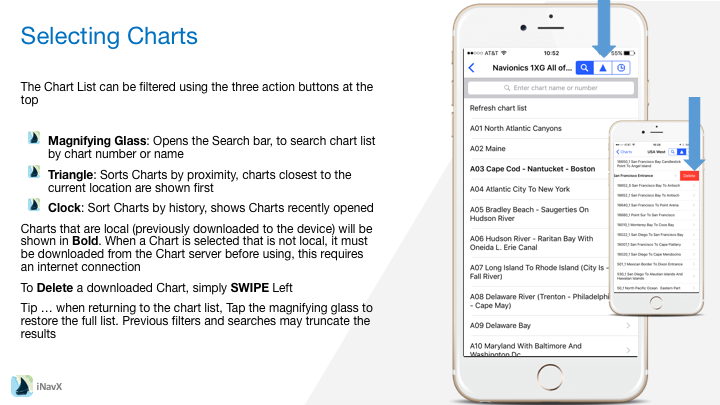 Charts that are local (previously downloaded to the device) will be shown in Bold. 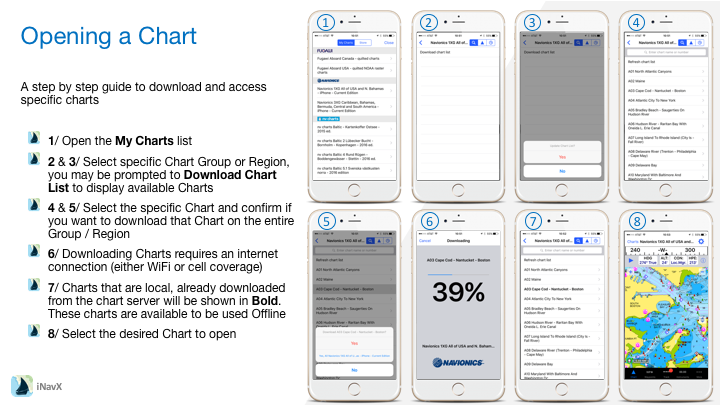 When a Chart is selected that is not local, it must be downloaded from the Chart server before using, this requires an internet connection. To Delete a downloaded Chart, simply SWIPE Left. 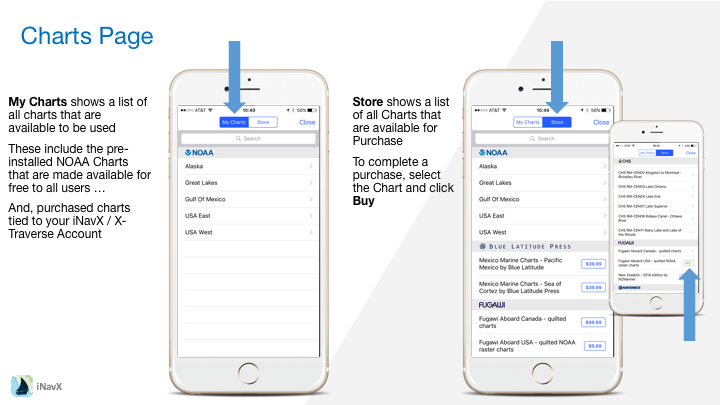 Tip … when returning to the chart list, Tap the magnifying glass to restore the full list. Previous filters and searches may truncate the results. 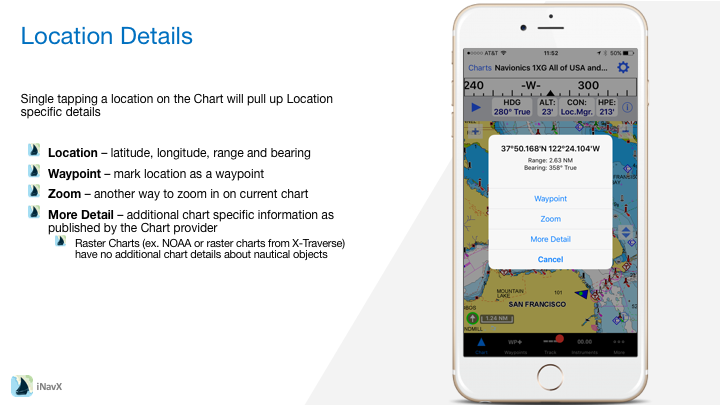 – Chart Name – The displayed Chart’s name will be shown across the top. 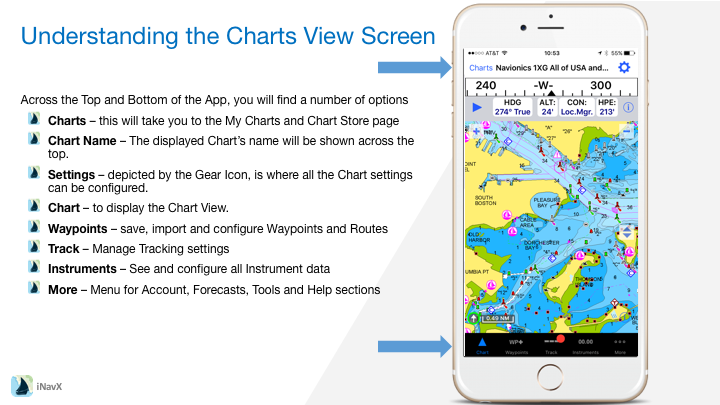 – Settings – depicted by the Gear Icon, is where all the Chart settings can be configured. 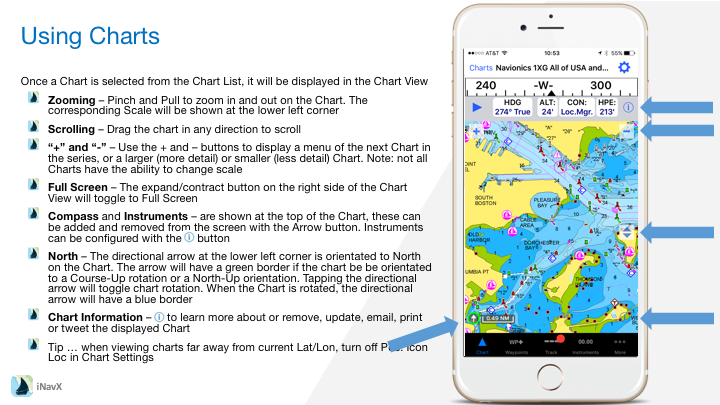 – Chart – to display the Chart View.